Looking for career articles? We offer the career help you need. Come read our resume articles. This entire website is my creation, so everything you read here (other than pages specifically marked as done by guest authors) is written by me. If you take a look at my About Me page, you'll see that I have many years of recruitment experience, even though I did not have professional training in the field. You might say I learned on the job... and don't you agree that experience is often the best teacher? In the years since I worked in a job that required me to do recruitment, I have continued to stay updated in the careers field, and I have served as a consultant to many friends, family and acquaintances who needed help finding the jobs they wanted. So the articles you'll find on this page are an extension of my knowledge to my website visitors. 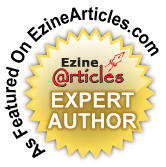 From time to time, I publish my articles in article directories, where other webmasters can find them and publish them to their own websites as valuable content. So you might have seen some of these articles elsewhere on the Web. If so, I apologize for the duplication. But if you haven't seen these articles, yet, DO take a look... I think you'll find the tips and advice helpful! You may use any of the job search articles found on this page as free content in your own eZine or newsletter or on your website. All I ask is that you leave the articles intact as written, including the resource box, and make all links clickable. Also, please let me know where you plan to publish this free content by filling out the short form below. Please check back frequently, as I update this library of career articles on a semi-regular basis. Resume Cover Letter Examples - Good OR Bad? I hope you find these career articles to be of interest in your quest to get career help. You can also find resume articles and more on our guest authors page.